At the Engineers Collaborative, we are experts in engineering and designing industrial ventilation systems for dust control, dust collection, and vapor control. 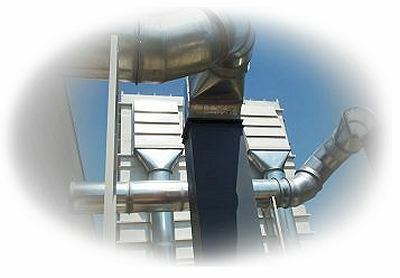 We provide unique custom engineered solutions that are tailored to meet your own industrial ventilation needs. With years of experience in the ventilation and dust collection field we are equipped to provide savvy and cost effective resolutions to tough problems found in the factory environment. Our engineers provide detailed surveys and ventilation troubleshooting for existing industrial ventilation, exhaust, dust collection, and vapor control systems. Our pre-design cost estimates help you plan ahead for new or upgraded industrial ventilation systems including dust collection and vapor control exhaust systems. We provide savvy engineered solutions that contain and reduce dust and vapors in your plant by recommending process changes than can minimize costs. We engineer industrial ventilation designs that get the most out of your existing ventilation systems, at a minimum cost. We provide engineering and the design services for new industrial exhaust and ventilation systems including custom dust control, dust collection, and vapor control hoods, booths, ductwork, cyclones, dust collectors, combustible dust containment devices, and industrial ventilation exhaust fans. We save you money by recommending industrial ventilation components, when possible, already available in the marketplace, minimizing design and construction costs. We help you to meet the OSHA and NFPA requirements for airborne contaminants and combustible dust for a safer plant environment. We provide practical and creative industrial ventilation solutions for dust collection, dust control, and vapor control solutions that fit your unique needs. The Engineers Collaborative is the dust collection, dust control, and industrial ventilation expert that you need on your project! Contact us today at (215) 300-9563, to find out more about how we can help you with your special industrial ventilation problems and solutions.